Snowing in September – Skiing Anyone? Early snow means more than just getting the trucks and plows ready early. It also means getting the ski slopes ready for skiing. 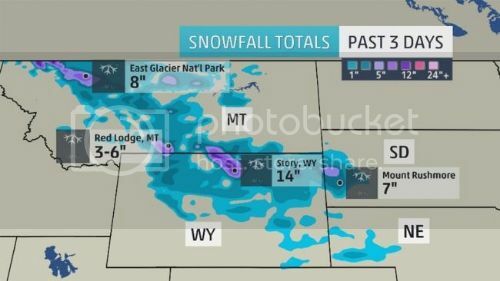 The recent snow storm dropped up to 20 inches in parts of Wyoming, South Dakota, Montana and Colorado. No it was not an isolated flake or two. It was enough snow to force the public to recon with it. Every fall skiers around the world eagerly anticipate the first snow. Especially if they plan on taking an early vacation so they can ski. 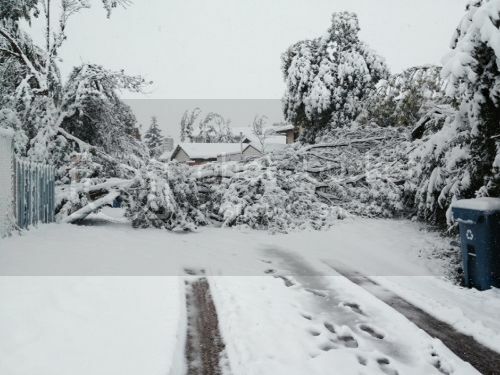 Early snow is not that common, especially for September. Sometimes in October (like last year) you’ll get enough snow so that the ski lifts will open early. This year? Who knows. We have an early start in Wyoming, Dakotas, Montana, and parts of Colorado. Forecasts are saying more cold weather and snow is possible. Not too long ago I posted this photo of how hot it was where I live: It hasn’t cooled off much yet and I’m still thinking about the mountains – snow – snowboarding and more. Timeshare resorts in ski areas experience some of the highest occupancy ratings in the timeshare industry. They not only provide great access to ski slopes and lifts, but also terrific summer vacations, fall, and spring vacations as well. The last time I was in Estes Park, Co, (during the summer) I noticed signs advertising lifts for extreme mountain biking. There’s an incredible idea! Mountain biking down ski trails. Situated in the mountains these timeshare resorts are host to a great venue for family outings, hiking, biking, fishing, and more. In fact, some of the ski timeshare resorts are some of the best selling of all time on the resale market. Timeshare resales are a great way to buy timeshare at an affordable rate and enjoy all the amenities that goes with it. Timeshare ski resorts are located in New Hampshire, Vermont, California, Utah, Colorado, Pennsylvania, Nevada, Virginia, Wyoming, and so on. Sheraton’s Mountain Vista in Avon Colorado, Fairmont Vacation Villas located in British Columbia, The Ridge Tahoe, Sandstone Creek Club Vail Colorado, Skiers Lodge Park City Utah, Smugglers’ Notch Resort Jeffersonville Vermont, Poste Montane at Beaver Creek and many many more.